Walk around Renhold at Renhold Walking RouteThis is a pleasant, easy, circular route with no hills. The lively village of Renhold borders the River Ouse to the south and has an interesting history. 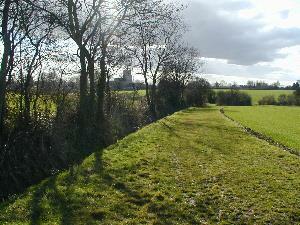 Start/Finish Point: The suggested starting point for this walk is opposite the church in the centre of Renhold. Start Nat GR: TL088528. This is a pleasant, easy, circular route with no hills. The lively village of Renhold borders the River Ouse to the south and has an interesting history. How to get there by car/Parking: Renhold is situated three miles north east of Bedford and is signposted from the A421. Parking is available in the village.